This white paper explores using SSDs to build better data storage platforms and the improved total cost of ownership (TCO) for enterprise data storage solutions. Growing storage challenges will require IT professionals to strategically identify and plan for specific data requirements within their organizations and to balance the cost and value of storage technology solutions. 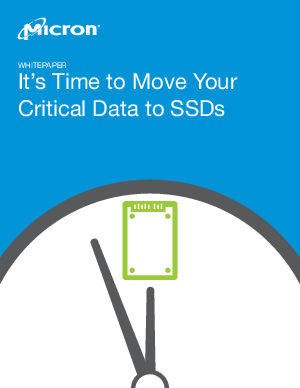 As greater numbers of IT professionals turn to SSDs for higher performance, better efficiency, and lower TCO, this white paper will illustrate how storage choices are driven by current and future needs. Download to learn more!